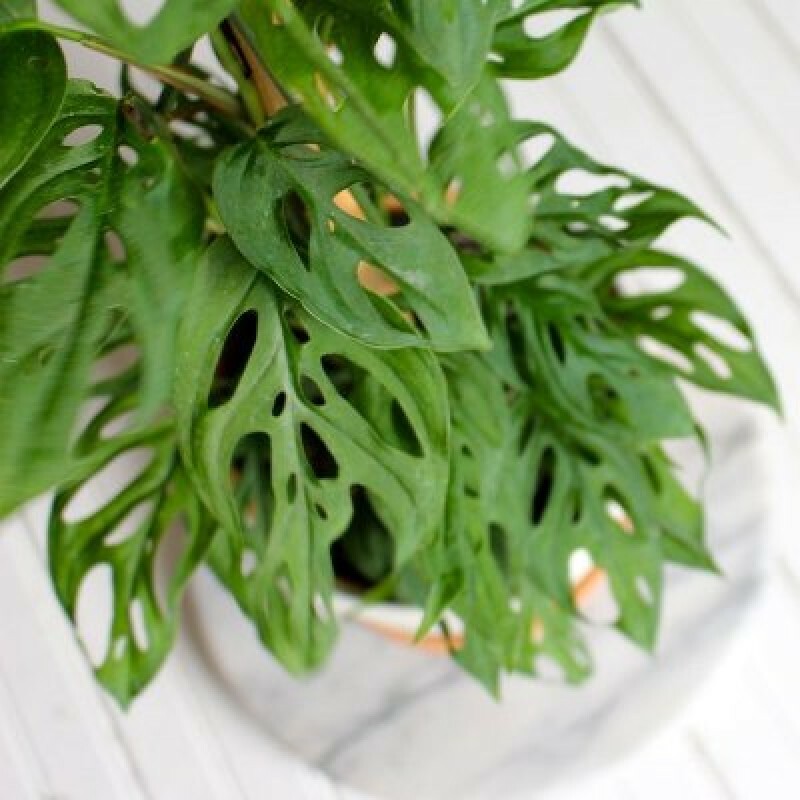 Monstera deliciosa is a climbing plant, easily recognizable to its large cut leaves that make it a popular plant. 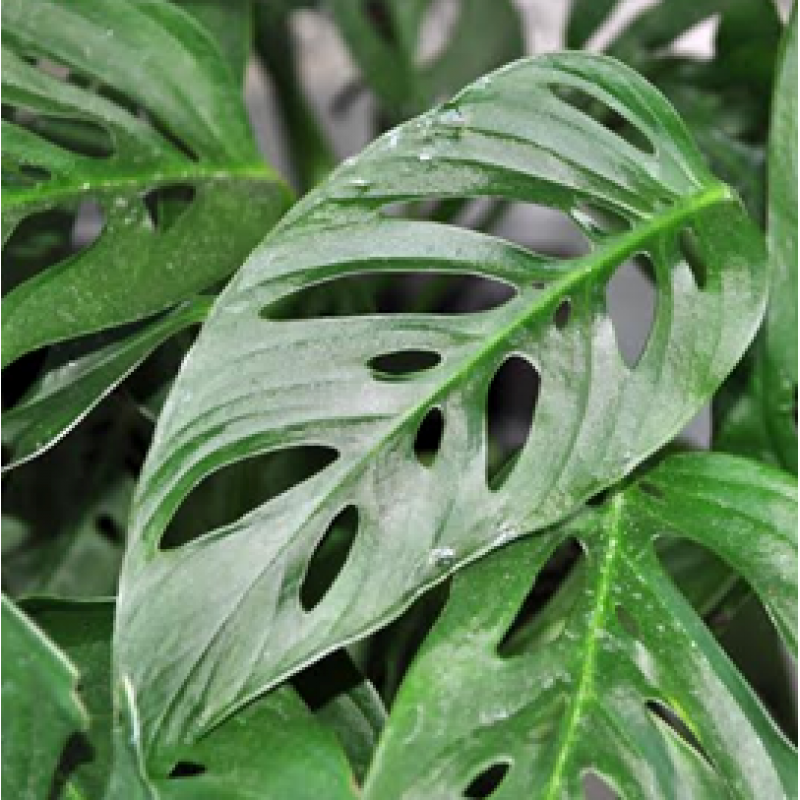 Younger specimens will have full leaves; the cuts begin to appear as the plant gets older, when the conditions are right. The plant produces long, brown aerial roots it uses in the wild to get a hold on the trees on which it grows in jungles, thus supporting its weak stem that is unable to support its own weight once the plant has more than two or three leaves. In the nature, M. deliciosa grows by climbing on trees; providing it something to climb on is necessary inside so that the plant can support itself. 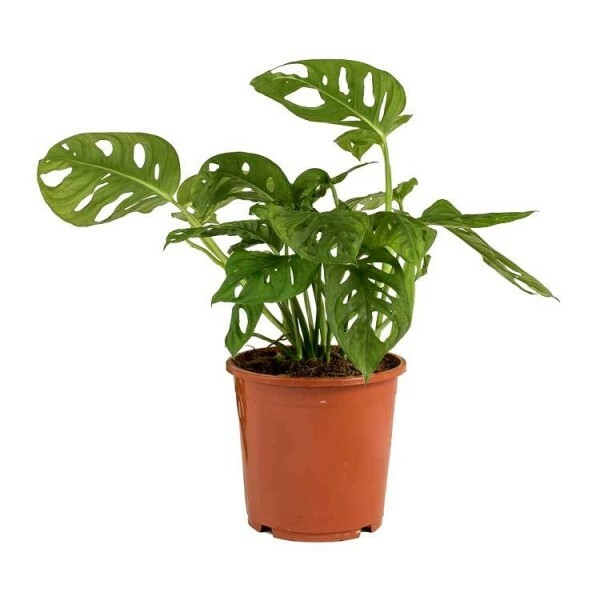 In a wet enough atmosphere, the plant will readily attach itself to anything it finds; in a normal apartment atmosphere however, it will not, and will have to be manually fixed. Aerial roots that are not actively used by the plant to support itself may be cut.